A Berberis Instant Hedge makes a highly effective intruder deterrent. 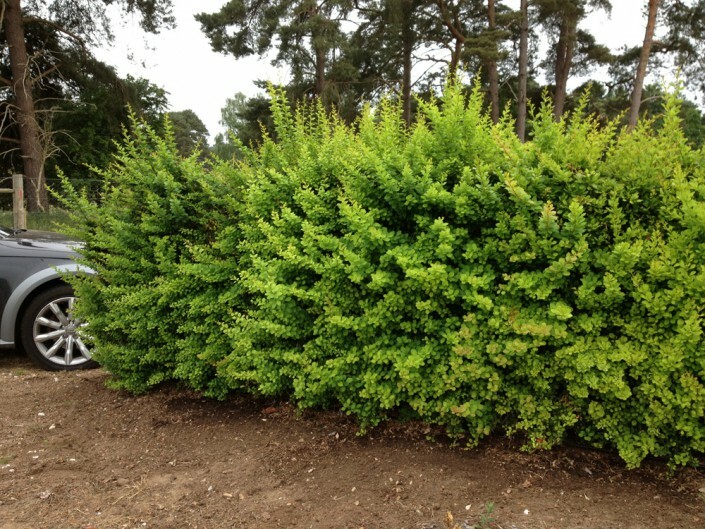 It is a thorny, broad-rounded, deciduous shrub with obovate green leaves which makes a great instant hedge where security is at a premium. Berberis thunbergii (Japanese Barberry) is a seasonally interesting, compact deciduous hedge, that offers a shelter for wildlife. Berberis thunbergii hedge plants boast small, yellow, cup shaped flowers in the spring and glossy orange, oval berries in the autumn that mature to scarlet red. 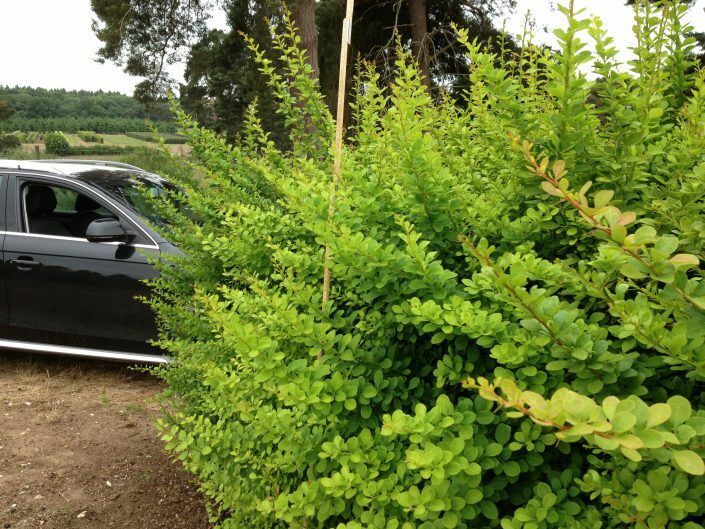 The green foliage of Japanese Barberry is deciduous, falling after turning shades of orange and red in the autumn. 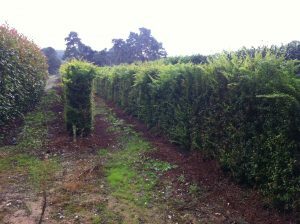 This 1.5m high Elveden Instant Hedge forms an impenetrable barrier and can be planted in a position enjoying either sun or partial shade. 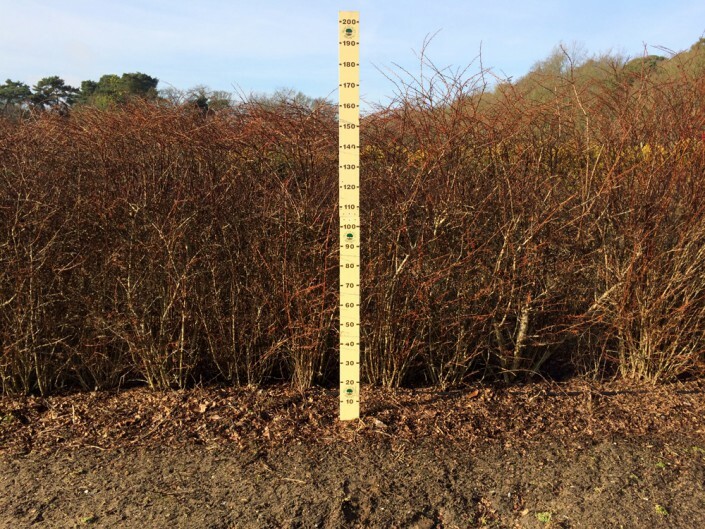 Good for urban areas as it tolerates pollution it is also frost hardy and is happy to be clipped. Plant in well-draining soil. 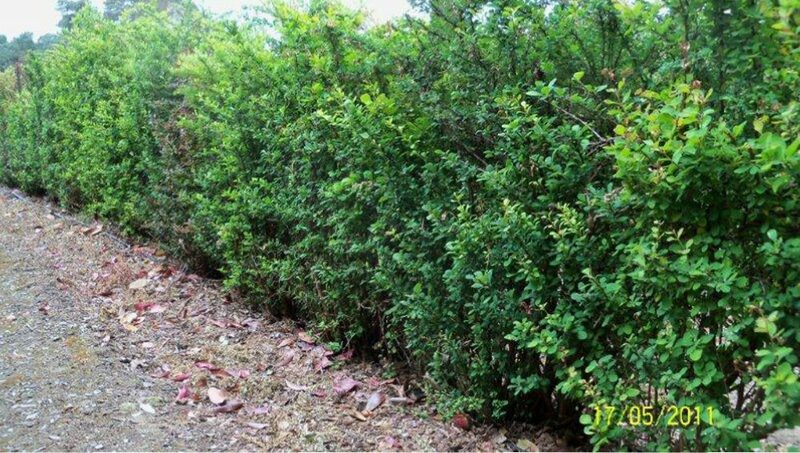 Berberis thunbergii grows moderately around 20 – 40 cm per year and will need pruning once a year, preferably in February.